Super Savings Item! Free Shipping Included! 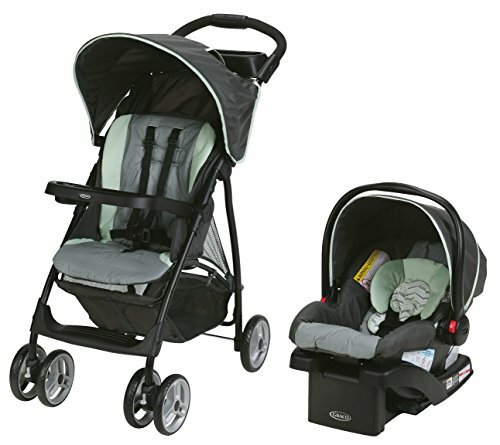 Save 37% on the Graco LiteRider LX Stroller Travel System, Landry by Graco at Baby Stroller Car Seat Combo. MPN: 2003539. Hurry! Limited time offer. Offer valid only while supplies last. The Graco LiteRider LX Travel System features an ultra-lightweight, fully featured stroller and the Graco SnugRide 30 Click Connect Infant Car Seat. The Graco LiteRider LX Travel System features an ultra-lightweight, fully featured stroller and the Graco SnugRide 30 Click Connect Infant Car Seat. Weighing less than 17 lb, this stylish lightweight stroller features a parent's tray with storage, a cup holder and a large storage basket to keep all your essentials close. The child's tray easily removes for no-fuss stroller entry, and the one-hand fold provides on-the-go convenience. The car seat stroller combo includes the SnugRide 30 which goes from car to stroller with ease, attaching directly to the stroller with a secure, one-step attachment. Ride longer with LiteRider LX, as it holds your growing child up to 50 lb. Care and Maintenance: To clean stroller frame and seat pad, spot clean using mild soap and warm water. Never use bleach. Use light oil if wheels squeak. Infant Car Seat: Wash removable seat cushion in cold water on delicate cycle and line dry.